April Banks has been writing professionally since 2010. She is a pharmacist with more than 18 years of experience. Banks received a Bachelor of Science in pharmacy from the University of North Carolina at Chapel Hill and a Master of Public Health from the University of North Carolina at Greensboro. .
Vitamins are substances contained in food that are essential for various functions in the body. They aid in your body's nerve function, growth and digestion. There are 13 vitamins that are classified as either water-soluble or fat-soluble. The water-soluble vitamins -- A, D, E, K -- dissolve in water, the fat-soluble vitamins -- the B vitamins -- are absorbed by fat and any excess is stored in fat. To function properly, your body requires a certain amount of vitamins. If you have a large deficiency in one or more vitamins, you may develop a vitamin deficiency disorder or disease. Scurvy is a disorder of vitamin deficiency arising from a lack of vitamin C, also known as ascorbic acid. Vitamin C is essential for immune function, wound healing and collagen production. Collagen is a necessary component of connective tissue in your bones, cartilage, skin and ligaments. Therefore, vitamin C plays an important role in keeping your skin and bones healthy. It also helps maintain healthy gums and teeth. Scurvy affects all these tissues. Symptoms include gum disease, swollen and bleeding gums, loose teeth, bruising of your skin, pain in your joints, slow wound healing, and general weakness. 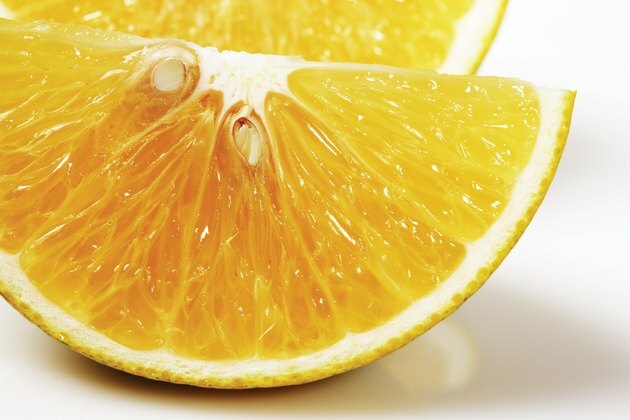 Scurvy is not common in the United States but most often occurs in elderly people with poor nutrition. Rickets is a vitamin deficiency disorder caused by a lack of vitamin D. The job of vitamin D in your body is to promote the growth and development of your bones. It does this by helping your body absorb calcium from either a dietary source or from a dietary supplement. Rickets manifests as skeletal deformities such as bowlegs and scoliosis -- a curvature in the spine; retarded growth; soft and weak bones, resulting in bone fractures; decreased muscle tone; and dental cavities. It's not that common in the United States but is more likely to be experienced by children from 6 months to 2 years of age. According the the Centers for Disease Control and Prevention, the prevalence of rickets is five cases for every million in children ranging from 6 months to 5 years old. The American Academy of Pediatrics recommends that breastfed babies receive supplementation of vitamin D starting from the first month of birth to prevent a vitamin D deficiency. Pellagra is a deficiency disorder caused by a lack of vitamin B3, also known as niacin or nicotinic acid. Vitamin B3 helps your body convert food to energy and is important for your nerve health. Pellagra is not very common in developed countries. However, alcoholics and malnourished people tend to be more at risk for developing this deficiency. Pellagra is characterized by a dark red rash covering your face, neck, feet, hands and calves. Your mouth and tongue may also be red, swollen and full of sores. You may suffer from diarrhea, nausea, vomiting or constipation. You may have trouble sleeping or feel extremely tired. Beriberi is a vitamin deficiency disorder caused by a lack of vitamin B1, also known as thiamine. Vitamin B1 is necessary for converting food to energy, memory, brain and cognitive functions, nerve health, and the formation of blood cells. Beriberi is rare, but alcoholics have a greater chance of developing it. Symptoms of beriberi include numbness or tingling in your hands and feet, leg swelling, possible paralysis, problems speaking, confusion, memory loss, feelings of depression and trouble breathing. If berberi is not treated, it could result in a form of dementia or death. What is a Vitamin Deficiency That Causes Muscle Aches & Tiredness? If Your Body Is Lacking Vitamins, What Symptoms Will You Have? What Are the Benefits of Vitamin Surbex Z?